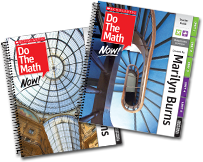 Math Lesson Plans, Materials, & Support | Do The Math Now! Do The Math Now! 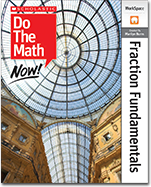 provides comprehensive support for math teachers and students and was designed to support teachers in understanding and delivering effective math instruction. 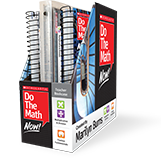 The program, which is organized into two volumes, includes everything that teachers need to focus on teaching and everything students need so they can keep their focus on learning. The Teacher Bookcase provides easy organization and access to all of the teaching materials and professional resources. Do The Math Now! 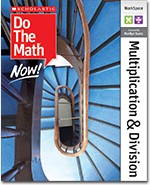 includes two teacher guides: Multiplication & Division for Units 1–5 and Fraction Fundamentals for Units 6–10. The Teacher Guides were developed to support teachers in understanding and delivering effective math instruction. They provide educators with all of the information needed for preparing to teach the lessons, step-by-step teaching instructions, guidance for monitoring student progress, and ideas for differentiation. The Annotated WorkSpace books are replicas of the student version and show answers to help with quick monitoring. All of the demonstration materials needed for instruction in the lessons are provided in a zippered mesh bag for convenient storage and access. These easy-to-use demonstration tools provide the electronic interactive version of all manipulative materials, charts, and WorkSpace pages. 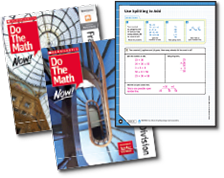 The TeacherSpace contains Unit Assessments, Additional Practice, Home Connections, and reproducibles. 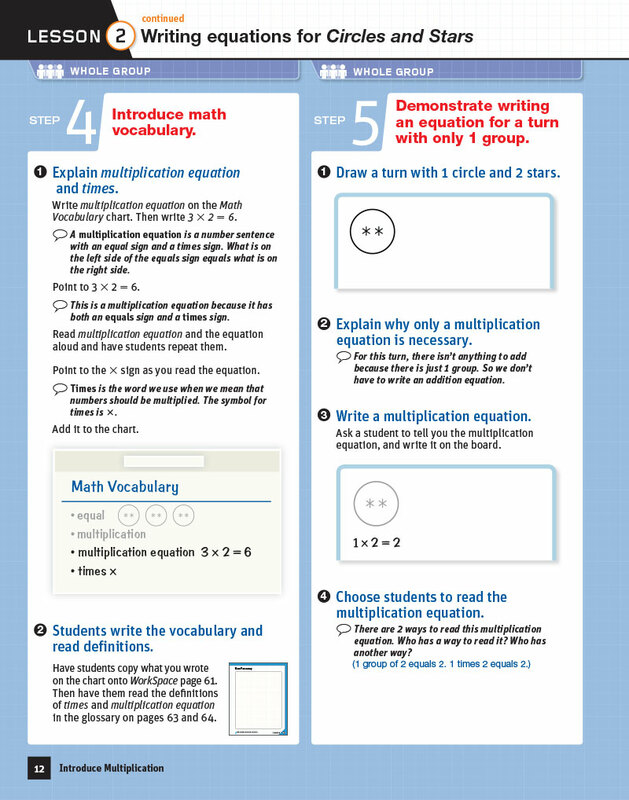 WorkSpace assignments are designed to support students’ transition to independent work and help teachers monitor students’ progress with Multiplication & Division. WorkSpace gives students the opportunity to apply their conceptual understanding of fractions and transition to independent work. Teachers monitor progress as student estimate, add, and subtract fractions. Hands-on learning and game materials are provided in zippered mesh bags. Each bag contains materials for eight students. Do The Math Now! includes frequent and strategically placed formative and summative assessments that both encourage and support students every step of the way. Suggestions for differentiating instruction are included for students still struggling and for those ready for a challenge. Do The Math Now! lessons include embedded assessments to provide a constant window into student performance and progress. Through the questions included in the Teacher’s Guides and opportunities for students to share their strategies, both verbally and in the WorkSpace pages, teachers are able to continually monitor students’ developing skills and understanding. Every fifth lesson is an opportunity to monitor student progress and provide differentiated instruction. Show What You Know assessments follow the same format as the WorkSpace pages, so that students aren’t faced with new directions, new words, and new ways of recording. 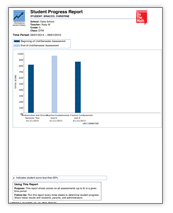 ProgressSpace is an online assessment and reporting tool for students, teachers, and administrators. ProgressSpace is designed to help teachers increase efficiency, inform instruction, and measure student growth. ProgressSpace offers Beginning- and End- of Volume Assessment, which can serve as a placement tool and benchmark progress. As students progress through the program, they complete the Beginning-of-Unit Assessment as a pre-unit snapshot of what they know. The End-of-Unit Assessment measures student growth when compared with performance on the Beginning-of-Unit Assessment.